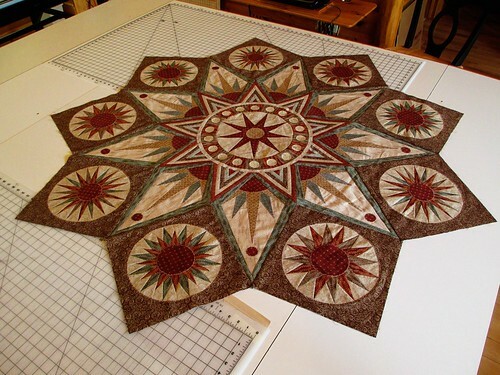 I have been working along with “The Quilt Show” Block of the Month, “Sedona Star” designed by Sarah Vedeler. WOW! That is going to be spectacular! Thanks Nancy. I’m in Detroit waiting to Lea e on Rhine Cruise trip. wow! you have done an amazing job.